We wish to thank all of you who participated in the election – candidates, nominators and electors. The Election Committee of IAPS is pleased to request the participation of the IAPS membership in the election of NINE (9) members to the IAPS Board. Three members of the Board will have served their four year term by summer 2018 and are therefore due to retire, because they are not standing for re-election. These are: Seungkwang Shon, Karina Landeros, and Caroline Hägerhäll. In addition, five members of the Board, Ricardo García Mira, Ian Simkins, Petra Schweizer-Ries, Clare TwiggerRoss, and Sigrun Kabisch have served the full 8 year period or the maximum period, and must now retire from the Board. Finally, one member of the Board, Taciano Milfont, has expressed his willingness to leave the board due to professional reasons. There are therefore 9 positions on the Board available for election by members. The voting papers will be verified by the IAPS Election Committee, which comprises Petra Schweizer-Ries (IAPS Member no 531 Bochum University, Germany), Edward Edgerton (IAPS Member no 966, University of West Scotland, UK), and Roderick Lawrence (IAPS Member no 277 University of Geneva, Schwitzerland). In order to exercise your right to vote, you must be up to date in the payment of your annual membership fee. For example, to vote this year, you must have paid 2018. If it were not, you can make the payment online with our system through the IAPS website. Please, do not hesitate in email us if you need any clarification or any other thing regarding your status. The Election Committee of IAPS is pleased to request the participation of the IAPS membership in the election of 8 positions on the Board available for election by members. Three members of the Board will have served their four year term by summer 2018 and are therefore due to retire or stand for re-election. These are: Seungkwang Shon, Karina Landeros, and Caroline Hägerhäll. In addition, five members of the Board, Ricardo García Mira, Ian simkins, Petra Schweizer-Ries, Clare Twigger-Ross, and Sigrun Kabisch have served the full 8 year period or the maximum period, and must now retire from the Board. There are therefore 8 positions on the Board available for election by members. February 3rd, 2018.- Nominations inviting IAPS members to be elected to the IAPS Board sent to the membership (information and form also available for download on the IAPS website). July 7th, 2018.- Board Meeting in Rome, Italy. Please find attached a Nomination Form. 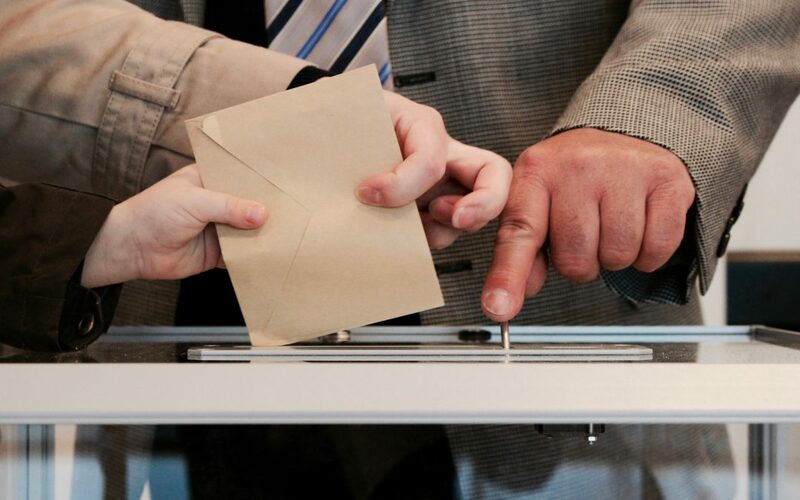 If you wish to nominate somebody, or you wish to be nominated, please complete the form and include a short election statement of about 400 words of the person being nominated. It would be helpful to the membership if the statement includes: a) your current interests and work in environment-behaviour research/activities; and b) the reason for standing for the Board and how you think you can make a contribution to the work of the Board and the interests of the Association. In addition, the nominator and seconder should include a short supporting statement on the candidate explaining why this person is appropriate for the Board. The nominee, the nominator and the seconder are required to be paid up members of IAPS in good standing. Please include, if possible, the appropriate membership numbers on the Nomination Sheet. IAPS welcomes all nominations as a contested election is a sign of a thriving and healthy organisation. You are urged to consider standing for the Board or nominate somebody else so that the Board will be truly representative of the IAPS membership. The deadline for receipt of nominations is the 10th March 2018. Please return the Nomination Sheet and short Election Statement by E-mail, to the Secretary of IAPS, Dr Tony Craig at his e-mail address: tony.craig@hutton.ac.uk (see the attached Nomination form). Voting ballots, a list of candidates and biographical sketches will be mailed to the membership by 31th March 2018.